YourSeats360 has signed its biggest partnership to date after its 3D seat view technology was integrated by Serie A football club Lazio. Fans buying tickets to see the Rome club via TicketOne will now be able to check the view from different seats through YourSeats360 before deciding which to buy. With views available for the Stadio Olimpico’s 70,000 seats, Rome-based YourSeats360 said the development of Lazio’s virtual stadium is its largest production to date. Marco Canigiani , Lazio’s marketing manager, told Lazio Style Channel: “This project stems from the desire to ensure a better service for the Biancocelesti fans, especially those who buy online. “We wanted to make the online shopping experience even more appealing, the ability to view the location that we buy effectively was our goal. Thanks to this YourSeats360 proposal and the participation of TicketOne we have managed to achieve this very important project in a few months. 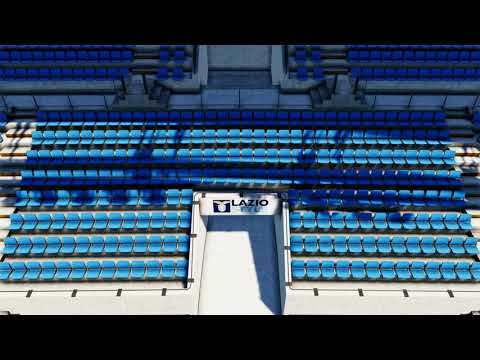 YourSeats360 provided its services to the Italian Open tennis tournament at the Foro Italico in Rome last year, with the two parties having renewed their deal for 2019. TicketOne said it is pleased to be offering the service to ticket purchasers. “This is going beyond the ticketing service,” said Amedeo Bardelli of TicketOne.